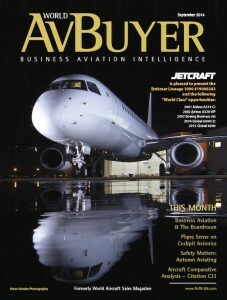 Congratulations to our good friends, colleagues and client, AvBuyer magazine—formerly known as World Aircraft Sales—on the launch and first issue of their newly re-titled publication. It was a privilege for us to be a part of their rebranding process, and to see the web-based AvBuyer name now encompass the company’s exceptional print media property for a unified presence as publishing brand. AvBuyer magazine is the business jet industry’s leading international publication combining high quality editorial content with the latest aircraft listings. Learn more at www.AvBuyer.com.